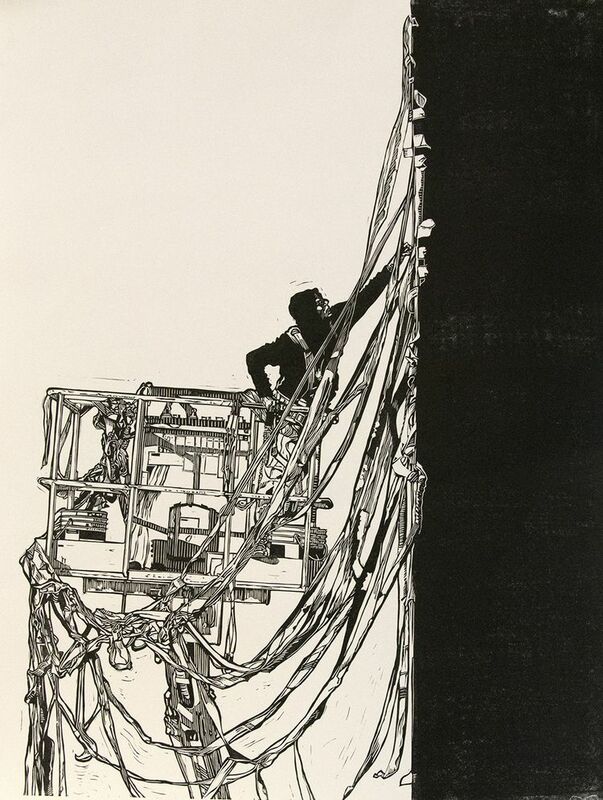 "Pulling Tape" by Raymundo Muñoz. Linoleum block relief print, edition of 5. 19.5" x 25.5". On view in 'Edition II' and available now at https://helikongallery.com/shop/ray-munoz-pulling-tape/.